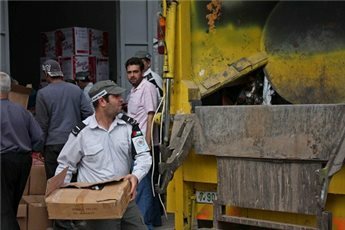 RAMALLAH (Ma’an) -- Health officials at el-Bireh municipality in cooperation with the Ramallah governorate and the Ministry of Agriculture seized on Thursday about 400 kg of rotten peaches in a vegetable market. After testing, health control authorities said that the peaches were not fit for human consumption. The trader was referred to authorities for legal action.